After rallying nearly 450 points in two days, the Dow took a breather overnight as it fell 0.1% to close at 20,975 points. Market commentators were pointing to a number of factors that may have contributed to the retracement. Some felt that there was disappointment regarding the lack of detail in President Trump’s tax reform proposal that was released during the trading session. There is the obvious question of where the funds will come from to fill the gaping hole left by the proposed substantial tax cuts. 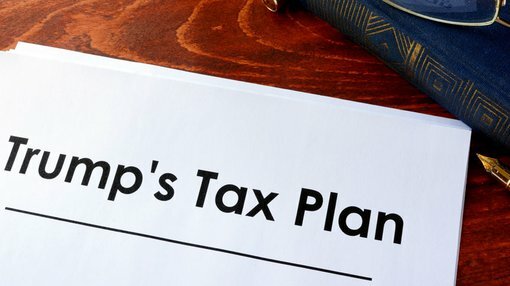 However, White House commentators suggested that sustainable GDP growth of 3%, along with substantially reduced tax administration costs would cover the cuts. Aside from the tax reform issue, some analysts suggested disappointing earnings results were responsible for the late session sell-off, while others felt that it was simply a case of profit-taking and repositioning following the substantial gains that materialised during the week. There was little movement in the NASDAQ as it finished at 6025 points. However, it did experience the same steep fall in the last hour of trading as was evident with the Dow. European markets also stabilised overnight with only nominal gains across the FTSE 100, DAX and the Paris CAC 40. Both the FTSE 100 and the Paris CAC 40 gained approximately 0.2% to close at 7288 points and 5287 points respectively. The DAX gained nearly 0.1% to close at 12,472 points. On the commodities front, gold delivered the exact inverse reaction that is often associated between the safe haven precious metal and equities markets. In the last two hours of trading, it rallied from US$1260 per ounce to close at US$1270 per ounce. While the oil price surged from sub-US$49 per barrel levels in early trading to hit a high of US$50.20 per barrel mid-session, it too went into freefall late in the day, closing at US$49.21 per barrel. Iron ore was relatively flat at US$66.60 per tonne. All base metals made nominal ground apart from nickel which fell nearly 1% to US$4.16 per pound. Copper edged up slightly to close at US$2.57 per pound. Zinc and lead delivered similar percentage gains, closing at US$1.18 per pound and US$0.99 per pound respectively. The Australian dollar weakened slightly, and was fetching US$0.747 at the close. Technical analysts are watching the dollar closely as it appears to be on the verge of breaking below resistance levels which could see a retracement to circa US$0.72.